With the outrageously hot weather came the opportunity to shirk outdoor responsibilities in favor of cooler, saner, indoor projects. Needless to say I was excited. I love the outdoors, and will generally do whatever I can do get outside in some fashion (something to do with my mother, I’m sure) but when it becomes hard to breathe due to the heat and humidity, I think that’s a free pass to stay inside. Kind of like any precipitation coming down sideways. Well, that’s enough about the weather. 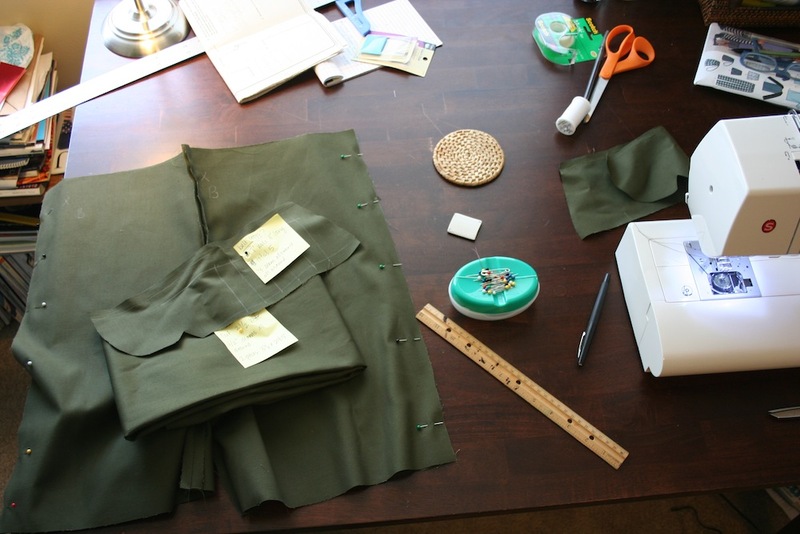 I had been dreaming about these paper bag-waist shorts for quite some time (here) after seeing the skirt tutorial on Adventures in Dressmaking. 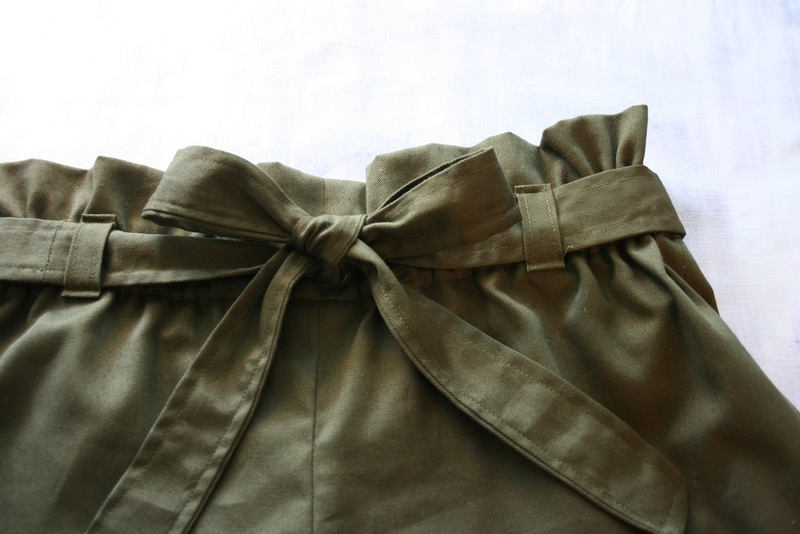 To make these I took a pattern for some pajama shorts and modified it a bit – creating a much longer waist to accommodate a 1” elastic band and about 1” of “ruffle” or paper bag effect on top of that. I made belt loops and a fabric tie belt to go along with it, so they looked a little more polished. Normally I would say “pajama shorts!? 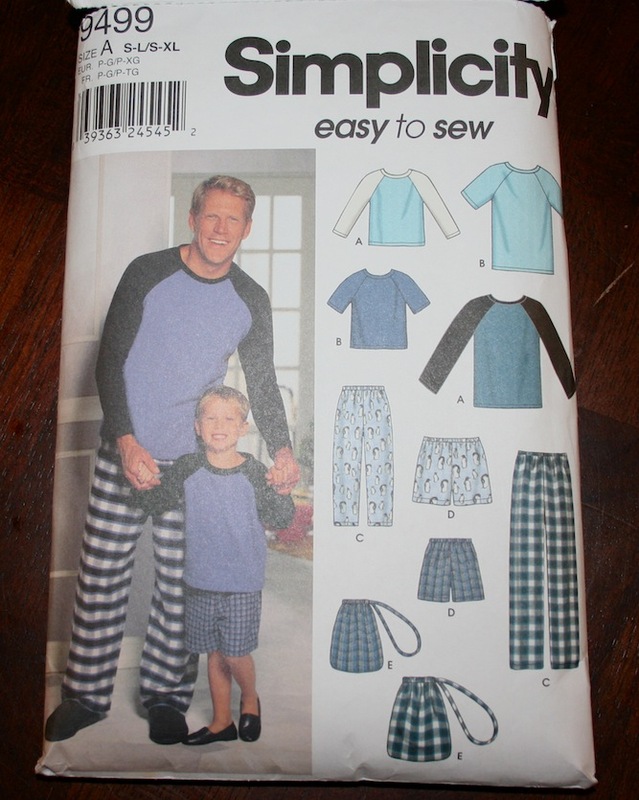 !” But the pattern had boys’ sizing, so I was able to choose a more form fitted size than what you might picture as slouchy, comfy lounging pants / shorts. This has been one of my most satisfying projects to date, because I fashioned so much of the design myself out of different resources, and because they turned out exactly as I’d hoped. That’s not to say I didn’t have to use the seam ripper in a few spots, but to me that just shows I was willing to go slow and get it right. (Which is vast improvement over my behavior on other projects I’ve attempted.) Success all around! Now, if only I could take a better picture, we’d be all set. What has been your most satisfying project?